NIOST & NJSACC Offer STEM Fellowship Opportunity - apply by 9/30! 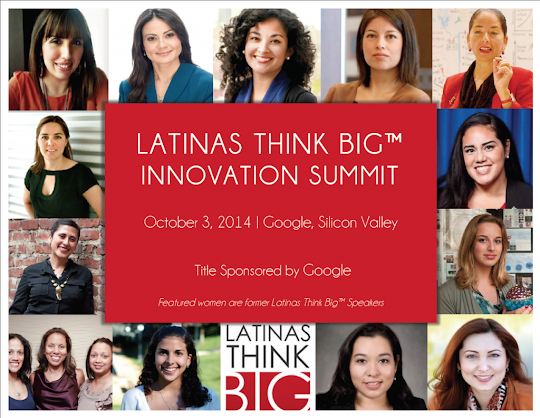 The Latinas Think Big™ Innovation Summit Fri 10/3/14 - Watch it Online! Take Advantage of this Valuable FREE Resource: Is your program listed? Ewing - The College of New Jersey is moving forward with a $94 million project to add 110,000 square feet of laboratory and classroom space while renovating its engineering building and connecting buildings to enlarge its science complex. The main component of the project is a new 88,000-square-foot STEM building that will take on the school’s Georgian Colonial style of architecture while providing additional space for its engineering and science programs, said David Muha, college spokesman. “In addition to classrooms, computer labs, and faculty offices for engineering, biomedical engineering, mechanical engineering, and computer science, the STEM building will provide specialized laboratories” Muha said. The project will have a broader impact on TCNJ’s landscape, Muha said. “It’s more encompassing than just the building,” Muha said. The project also includes a 22,000-square-foot expansion of the existing chemistry building, providing space for more labs, Muha said. The expansion is being funded in part by the state’s $750 million Building Our Future Bond Act. 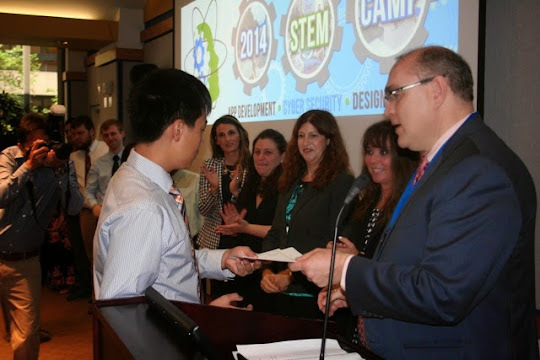 TCNJ received more than $57 million in state grants for STEM construction projects in May 2013. The school is using $47 million of that money to pay for the STEM project and the remain $10 million on upgrades to its technology infrastructure, including phone and computer networks, he said. The school expects to break ground on the new building in the spring. This means that construction will begin on this project just as TCNJ nears completion of Campus Town, the $86 million, 278,000-square-foot complex that will bring college apartments and retail to the school. 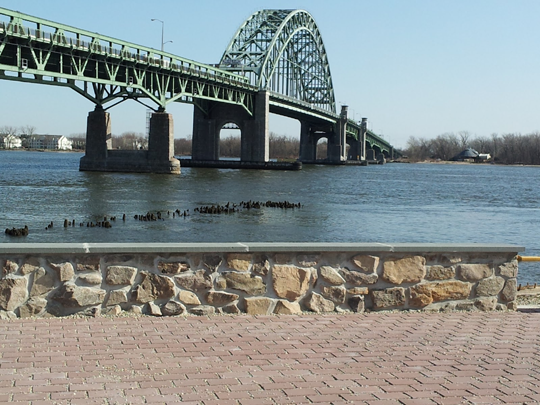 Vicky Gorman, a science teacher at Medford Memorial Middle School, said she thinks that the 250-acre Palmyra Cove Nature Park, just south of the Tacony-Palmyra Bridge, may still be unfamiliar to some people. As part of new ventures launching at the park and the environmental discovery center, Gorman was one of 14 area teachers who in August attended Earth SySTEM Summer Academy, designed to introduce teachers about applications of the Earth’s systems as related to science, technology, engineering and mathematics (STEM) education. “It’s a special place right here in New Jersey that’s full of natural resources,” said Gorman, who also presented at the two-day event, an offshoot of the cove’s Institute for Earth Observations. Twelve years ago, executive director Clara Ruvolo envisioned the park, home to hundreds of migratory birds, as well as deer, fox and mink, as being more than just a ruffle of greenery along the Delaware River. For years, Palmyra Cove — land, that for the most part has been built up by deposited particles dredged from the river by the State of New Jersey — was only deemed a leisurely catchment for locals. But a shift in the tide — which Ruvolo, her staff, and other nature lovers had earnestly campaigned for — has been realized: Palmyra Cove Nature Park is not only a recreational oasis for hiking, fishing, kayaking and birding, but a center devoted to the education and conservation of the Earth and its resources. “Here at the park, there is so much that can educate people about water science, the wetlands, birding and marine biology,” Ruvolo said, citing the mission of the Palmyra Cove Education Foundation, a nonprofit established in 1999. In 2003, the 10,000-square-foot Environmental Discovery Center opened on the site, with two levels of offices, labs and an exhibit hall that’s also home to Jack, an artfully stuffed peregrine falcon, who had once lived with his mate in the nesting box atop the bridge. The nature park operates on an annual budget of $300,000 gleaned from fundraising and the Burlington County Bridge Commission, which manages the site. Today, the master plan of the center’s organizers calls for emphasizing the interconnectedness of the planet’s ecosystem with workshops for pre-K through college-level students, educators and the general public. They’re currently establishing a geoscience remote laboratory, recently hatched with the addition of 20 17-inch Lenova laptops, a WeatherBug station and a display area equipped with satellite tracking. Data can be collected on sea surface temperatures, the climate, and earthquake and volcanic activity. The lab might not have happened without a $20,000 grant from MKM Foundation in Philadelphia, earmarked over four years. Moore, a veteran science teacher who worked for the National Science Foundation under the Albert Einstein Distinguished Educator Fellowship, also said the projects are integral to the Next Generation Science Standards, a benchmark adopted by at least 26 states, including New Jersey, which recommends schools incorporate curriculums that include climate change and evolution. Advocates like Moore believe these guidelines are vital to the emerging 21st-century workforce. When naturalist Kristina Merola was hired nine years ago, there were a few beach programs offered at the cove, like scooping up tadpoles or tracking deer. Since then, she’s helped to expand the on-site sessions for visiting students from schools in Central and South Jersey and Pennsylvania. Costs are $8 to $10 per student. She also leads Cove Caterpillars and Nature Craft and Story Time, two weekly parent-accompanied groups for kids ages 2 through 6 costing $5. “The goal was to add more activities and to continue to grow and be an extension of the classroom for teachers,” said Merola. More than 6,000 students visited the center last year, up from 200 a decade ago. This fall, Merola said the center will purchase a digital microscope for $5,000 with funds from a private donor for her microbiology classes. Besides collaborating with societies like the American Meteorological Society and GLOBE (Global Learning through Observation to Benefit the Environment), the cove provides field study for local colleges such as Drexel University, which runs a competitive program called The Learning Bridge Day for engineering students. “And we have a new relationship with Burlington County College to conduct outreach programs in a roving RV,” said Peter Dorofy, director of environmental education. Other activities are gaining ground, too: photography and birding classes, and family outings like the Oct. 4 Octoberfest and the Frost & Feathers Ball held in February. For more information about Palmyra Cove Nature Park’s events and classes, or to become a member visit palmyracove.org. Calling all Young Artists! The Tulpehaking Nature Center opens this fall as the Mercer County Park Commission’s newest environmental education facility. To celebrate our Grand Opening on October 11th, we’re hosting a nature center art show, challenging local students to create a habitat for our Tulpehaking turtle. All entries will be displayed. On the sheet provided, create a habitat for the turtle. Its habitat can be drawn, colored, painted, or collaged. Be creative with the materials you use! Just make sure it fits on the page provided. All entries will be displayed at the Grand Opening of the Tulpehaking Nature Center on Saturday, October 11th. Bring your family and friends to see your masterpiece in lights! The Tulpehaking Nature Center will be the visitor’s home base for exploring the Abbott Marshlands. Join in interactive programs about science, nature and archaeology, explore exhibits, stroll through the marsh native plant garden, go birdwatching, bicycling and more. Visit us during our Grand Opening Celebration on Saturday, October 11th from 10am-4pm for prizes, food, microscope explorations, live animal presentations and other family fun activities! 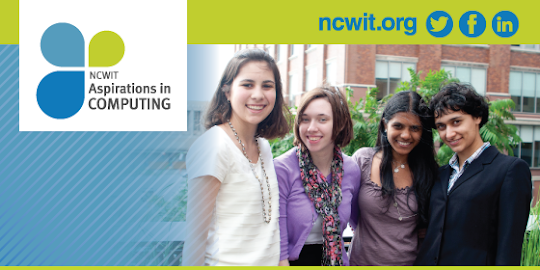 It's application time for the 2015 NCWIT Award for Aspirations in Computing and the 2015 NCWIT Aspirations in Computing Educator Award! Click here to read more and apply now! When people consider particular states, certain thoughts come to mind. If someone mentions California, chances are good that images of movies and smartphones will follow. If someone talks about Michigan or Washington, the same thing might happen with cars and airplanes. These states each had something unique that provided just the right ingredients for particular types of innovation. According to professor Michael Porter of Harvard, that something can be explained by clusters. Certain places become really good at producing certain products because they "cluster" together people, businesses, and institutions. Clusters boost productivity and stimulate competition. The more resources there are in a local area devoted to a discrete set of issues, the more innovation follows. In New Jersey, the clustering of highly educated people, top companies, and world-renowned research universities has made it one of the premier places in the country for biopharmaceuticals, medical devices, chemical production, and knowledge creation. People like Albert Einstein and Thomas Edison, institutions like Rutgers and Johnson & Johnson, and inventions like the transistor and phonograph all helped the state become a hub for innovation. Despite the institutional advantages that New Jersey possesses, however, it is still challenged by the same forces assailing the nation. In this country, one of the perennial problems that educators, politicians, and business leaders talk about is a STEM student and worker shortage. The problem is illustrated by the country's stagnant performance in the Organization for Economic Cooperation and Development's comprehensive survey, which found the American education system performing at roughly the same level as countries like Russia, Portugal, and Hungary. STEM educators were particularly alarmed; in science, the United States ranks 21st, a below-average number among wealthy industrialized nations. For New Jersey and other states, the problem is especially acute. By 2018, New Jersey will need to fill more than 269,000 STEM jobs. This problem is made worse by young people leaving the state to attend college and older individuals leaving New Jersey in their retirement years. In 2008, New Jersey led the nation with a net loss of 27,343 students who left the state to go to college. If past patterns hold, many will not return to the state to work or live. By 2018, New Jersey will also bear a large portion of the 2.4 million job vacancies that baby boomers will create when they retire from positions in STEM fields. In responding to this problem, New Jersey and similar states might start by looking at the story of Morris Tanenbaum. Nearly 60 years ago, Tanenbaum helped develop the world's first silicon transistor in New Jersey. By using silicon as a semiconductor, instead of germanium, an element out of which early transistors were made, Tanenbaum sparked a technological revolution. Today, the silicon transistor is the crucial part of integrated circuits that drive microprocessors and electronic devices in tablets and smartphones. This innovation, however, might never have happened but for a serendipitous encounter. It was a Princeton tradition for graduate students to introduce undergraduates to local research laboratories, and Tanenbaum was invited to a place he had never heard of called Bell Labs. Tanenbaum was so impressed by what he saw at Bell that he asked for an interview, which turned into a job. At the suggestion of the transistor's inventor, William Shockley, Tanenbaum and others worked together to develop the silicon transistor. Tanenbaum helped create the modern world. Today, we might think that because of the Internet and availability of information, a near-miss like Tanenbaum's story could never happen. But when we look at the coming STEM shortage and the nation's educational performance, there is too much to lose to leave things to chance. One way New Jersey is addressing this problem is through the Governor's STEM Scholars Program, a unique public-private partnership developed among leading companies, the Governor's Office, the New Jersey Department of Education, and the secretary of Higher Education. The program comprises a diverse group of 50 of the best and brightest high school and college students from communities across the state. It exposes them to all New Jersey has to offer in STEM. Rather than rely on chance encounters, the program is giving these scholars a comprehensive introduction to all the STEM clusters in the state. In designing the program, we worked with the state Education Department to ensure that superintendents in each county learned about the program and passed it on to students in every corner of the state. Given that New Jersey is a state with some areas that are not as wealthy as others, this helped ensure that the program was available to everyone who applied, rather than just the students who were fortunate to be born in the most-privileged areas. Similarly, we were interested in attracting female applicants to see if we could help close the gap between the genders in STEM. To our delight, the ratio of male to female applicants was almost even and nearly every single applicant provided evidence of sparkling academic performance. The applications also showed strong leadership qualities. Students who volunteer in their community or serve as presidents of local and regional STEM societies and those who are already busy conducting research all submitted applications. At the program's core are four conferences that aim to mentor, educate, and inspire the scholars by giving them a comprehensive introduction to STEM professionals and the work already being done in the state. The conferences will be supplemented by trips into the field where the scholars will get firsthand exposure to things like 3D printing, nanotechnology, and more. We anticipate that connecting our state's top STEM students to working STEM professionals will open up mutually beneficial doors of research, opportunity, and development. The Research & Development Council of New Jersey knows that states that are STEM leaders can be at the forefront of addressing the nation's STEM shortage. Unlike other states, we already have the clusters--of people, businesses, and institutions--that drive innovation and develop research. The group will include students from all over the state from all types of backgrounds because we also know that it is important for STEM opportunities to be available to everyone. New Jersey-based innovators gave the world the light bulb, the silicon transistor, and the antibiotic streptomycin. We can do it again. Anthony Cicatiello serves as president of the Research & Development Council of New Jersey and David Hodges is director of the Governor's STEM Scholars. Since 1962, the council has served as a united voice that brings together the state's government, industries, and academic institutions in advancing research and development and STEM education in New Jersey. To learn more about the Governor's STEM Scholars Program, please visit the website or @GovSTEMScholars. Deadline Extended - apply by 9/30 - NIOST and NJSACC Offer A New STEM Fellowship Opportunity! The National Institute on Out-of-School Time (NIOST) at the Wellesley Centers for Women at Wellesley College and the National Writing Project (NWP), with generous funding support from the Robert Bowne Foundation, launched the National Afterschool Matters Initiative Practitioner Fellowship in September 2008. The first two participating cities were Philadelphia through the Philadelphia Writing Project, and the San Francisco Bay area through the Bay Area Writing Project. We have also have or had Fellowships in Minneapolis, Seattle, Pittsburgh, and New York City. NIOST and NJSACC are excited to bring this opportunity to out-of-school-time (OST) practitioners and classroom teachers in New Jersey. The fellowship is grounded in the inquiry-based, writing, and professional development approaches of the National Writing Project (NWP) and NIOST. This effective professional development model provides frequent and ongoing opportunities for educators in and out of school to write and to examine theory and practice together systematically. Educators who are well informed and effective in their practice can be successful teachers of other practitioners as well as partners in development and implementation of effective and quality practice. Research findings by the fellows will be presented at a research roundtable in the Fall of 2015, and fellows will be encouraged to submit papers for publication. Participants in the Practitioner Fellowship are selected by application. Through the year-long course the Fellows will explore some of the issues emerging from recent studies that challenge the dichotomy of learning experiences as well as traditional structures of learning. Researchers and policy makers have increasingly questioned the split between in-school and out-of-school programs, calling for new policy and innovative thinking to bridge these divides. Become part of a community of practitioners. Fellows work collaboratively to study effective practices and investigate the structures in which effective practice happens - at the program/classroom, activity, curriculum, and individual levels using their own Science, Technology, Engineering and/or Mathematics curricula as the objects of study. Learn strategies to engage in program reflection and inquiry. Fellows learn approaches and strategies that will help them become better at program/classroom observation and analysis. Improve programs and practice. Fellows identify and investigate effective instructional strategies and bring these strategies back to their classrooms and/or OST programs. Collaborate to identify ways that schools and OST programs can better work together to support youth in STEM learning and engagement. Engage in leadership activities to disseminate program/classroom improvement strategies. Fellows present their work to peers, administrators, parents and community members. They are encouraged to design and deliver workshops based on their work to share new expertise with others in the field. Write a STEM-focused inquiry paper that intentionally brings the worlds of OST and the school classroom together as part of an article for professional journals. April or May 2015: a spring writing retreat, where rough drafts of STEM research articles will be completed. Location TBD. To apply, request the National Afterschool Matters Practitioner Fellowship application and the Memorandum of Understanding (MOU) from mmacewan@njsacc.org, the NJSACC website at: www.NJSACC.org or on the NIOST website here. 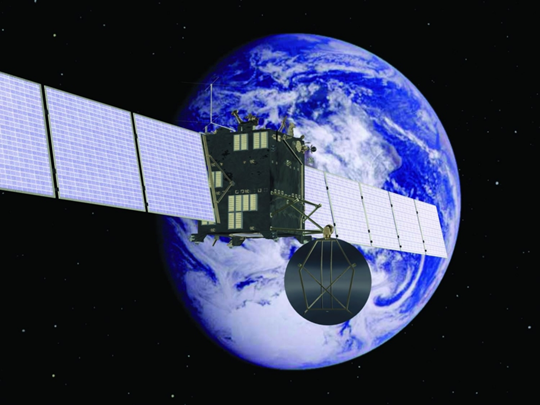 Summer 2014 Fellowships: NASA and Setan Hall University Team Up! 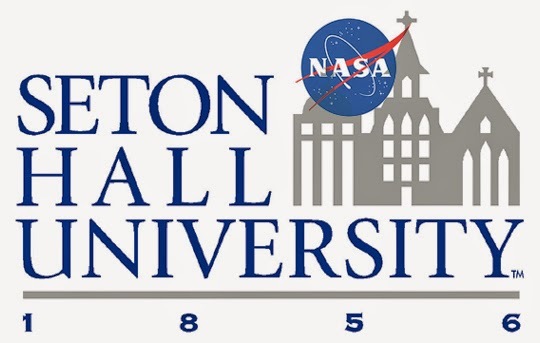 Last Summer, Seton Hall University was granted a New Jersey Space Grant Consortium (NASA-funded) Award for eight Summer Undergraduate Research Fellowships. Principal Investigator (PI) of the grant, Professor M. Alper Sahiner of Department of Physics at Seton Hall University has confirmed the completion of the eight Summer Research Fellowship Projects during Summer 2014. Zhane Bell (Mentor: Prof. Marian Glenn) "Space Saving Method fopr Fresh Food"
Luis Cerqueira (Mentor: Prof. M. Alper Sahiner) "The effects of synthesis conditions on the structure and Performance of CIGS Photovoltaic Thin Films"
Christopher Colomier (Mentor:Prof. Sergiu Gorun) "HPLC Analysis and Separation of Catalysts for Environmental Remediation"
Veronica M. Harrison (Mentor: Prof. Jane Ko) "Analysis of STAT3 Status In Neuronal Cells Surviving Under Hypoxic Condition"
Patrick Heintz (Mentor: Prof. Sergiu Gorun) "Electron Deficient Pthalocyanine as Surface Oxygen Complexing Agent"
Darren J Lesinski (Mentor: Prof. M. Alper Sahiner) "Surface Analysis of CdTe Deposited Thin Films on ITO Coated Glass Substrates by Scanning Electron and Atomic Force Microscopy"
Arya Nabizadeh (Mentor: Prof. M. Alper Sahiner) "Structural Characterization of ZnO based Photovoltaic Thin Films under Varying Conditions of Synthesis"
Samantha Reed (Mentor: Prof. John Sowa) "Comparison between known structural isomers of C60[5,6] and a previously unreported structural isomer, C60[6,5,10]"
The New Jersey Space Grant Consortium (NJSGC) was established in 1991 by a grant from NASA. The objectives of the Consortium are to develop programs to further aerospace and STEM education, research, and development in New Jersey. For the 2013-2014 Summer, NJSGC has awarded Seton Hall University eight Summer Undergraduate Student Research Fellowships to administer. The fellowship recipient must conduct research relevant to Science, Technology, Engineering and Mathematics (STEM) or aerospace and fit into one of NASA’s missions as outlined on the website. The fellow must be a full-time student at Seton Hall University. A faculty member in SHU has to agree to supervise the research of the fellow. The research will be conducted at SHU for a period of six weeks during June 1, to August 31, 2014. The Latinas Think Big™ Innovation Summit, hosted at and sponsored by Google, sparks a national dialogue on the current state and future of Latina innovation. Over 300 accomplished and aspiring Latinas in STEM careers – along with a talented group of innovators, tech entrepreneurs and influencers — will connect, network, learn and showcase their innovations. This is the first Latina Innovation event at a Fortune 500 company, demonstrating Google’s commitment to advancing the careers, businesses and innovation of Latinas in the United States and abroad, as well as inspiring Latinas to pursue and succeed in STEM careers. The Latinas Think Big™ Innovation Summit is excited to announce that their Title Sponsor, Google, is the official livestream partner and event host of the LATINAS THINK BIG™ Innovation Summit. The event will be broadcast live via Google+ Hangouts On Air for national visibility. Recordings of the live event and individual presentations will also be available at youtube.com/LatinasThinkBig. Scientific research, robotics and coding – that doesn’t necessarily sound like every kid’s dream of the perfect summer. But 16 high school students from all over New York City, New Jersey and as far away as Yonkers, chose to spend two weeks of their vacation doing exactly that at Pace University’s annual STEM Collaboratory Camp. The program took place at the university’s Downtown campus for the second time this summer where the students, including two from Downtown schools, developed and designed mobile applications, or apps, based around this year’s theme of cyber security. If that sounds impressive, then so were the finished apps that the teens presented to family, faculty and newly made friends at a reception last month at Pace’s Seidenberg School of Computer Science and Information Systems. Nonetheless, Chan and her team ambitiously called themselves F.O.C.S., short for “Future of Cyber Security,” and came up with an app that lets users manage their wifi hotspot and allow or block other devices from connecting to it. Chan said that working with faculty from Pace and college-level mentors made coding and STEM, which stands for Science, Technology, Engineering and Mathematics, much more accessible. Jeremy Eng, a 15-year-old sophomore at Millenium High School in Lower Manhattan, was last to present his group’s app. The aptly titled “Phisher” lets you scan your social media accounts for content you once uploaded, but might not want someone in particular to see – say a college board or a possible employer. Eng became interested in coding when a friend started making apps on iOS, Apple’s operating system, and said he would even consider a career in the field. During the presentation, Eng said that everybody likes their privacy, even if they have nothing to hide. “I love to lock my door when I go to the bathroom, for example,” he joked. The program was jointly sponsored by Pace and AT&T, which organized a tour of its facilities as part of the camp, as did Google. Jonathan Hill, associate dean at the Seidenberg School and co-director of the STEM Collaboratory, thinks the program has the potential to teach the students much more than just the technical skills of coding. At the end of their presentations, the teens promised to keep in touch with each other, something Hill thinks is potentially the greatest achievement of the program. “Some of them are from badly under-served public schools, and some of them are from very good private schools,” Hill said. ROBBINSVILLE — A capital investment from a Robbinsville company will help teens prepare for college and technical school as well as Science, Technology, Engineering and Math (STEM) careers. The Nordson Corporation Foundation has pledged $500,000 to the Boys and Girls Club of Mercer County’s More Than Hope campaign, to support the construction of a STEM Center as part of a new Boys and Girls Club being built in Lawrence Township. "Nordson is proud to support the Boys and Girls Club of Mercer County in their expansion efforts," said Cecilia H. Render, executive director of the foundation. "We partner with Boys and Girls Clubs all over the country due to our shared focus on the importance of providing a safe place for students to learn when they’re out of school." Nordson and the Boys and Girls Club share a mutual commitment to improving educational outcomes that enable individuals to become self-sufficient, active participants in the community. Every year, the Boys and Girls Club offers 400 teens in the greater Mercer County area academic enrichment, character development and career preparation programs. Through the More Than Hope capital campaign, the Boys and Girls Club plans to double the number of teens served to enable more teens to graduate from high school and enter into post secondary career pathways. "We are thrilled to partner with Nordson to build the STEM center in our new community center," said David E. Anderson, executive director. "This extraordinary commitment from Nordson will help provide teens with the tools they need to enter into STEM careers." The new Boys and Girls Club will also accommodate a gymnasium, teen and technology centers, a food court and teaching kitchen, and several multipurpose classrooms. "When we saw the plans to include a STEM Center in the new building, we knew it was a perfect fit for Nordson and our efforts to increase students’ awareness of science and technology," Ms. Render added. The Nordson pledge to the capital campaign builds on its annual support for the Boys and Girls Club’s after-school programs. Nordson employees based in its Robbinsville location volunteer in Boys and Girls Club programs. Nordson operates an 88,000-square-foot manufacturing facility in Robbinsville. Nordson Corporation is one of the world’s leading producers of precision dispensing equipment that applies adhesives, sealants, liquid and powder coatings and other materials to a broad range of consumer and industrial products during manufacturing operations. The Nordson Corporation Foundation is dedicated to improving the communities its employees work in by supporting the continuum of education from birth to adulthood, in the belief that education is the key for individuals to become self-sufficient, productive members of society. 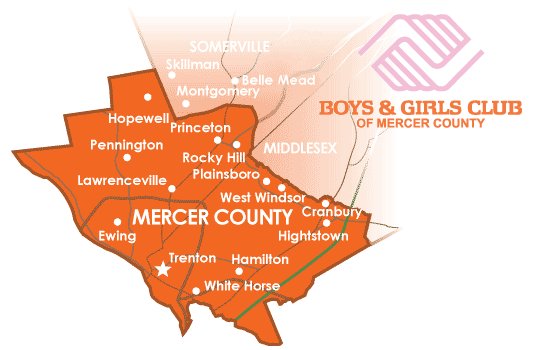 The Boys and Girls Club of Mercer County provides young people, ages 5 to 18, in Trenton and surrounding communities with safe havens, academic enrichment, and recreational activities through after-school, weekend and summer programs. Nearly 100 percent of Boys and Girls Club members graduate from high school and 80 percent of them gain acceptance to college. To learn more about the Boys and Girls Club, visit www.bgcmercer.org. MORRIS TWP. ‑ St. Virgil Academy (SVA) added four new teachers to its certified faculty at the Pre-K through grade eight school that opened Tuesday, Sept. 2. Colleen Kiernan, who most recently worked as a teacher’s aide at St. Vincent de Paul School in Stirling, joins the staff as a second grade teacher. “I hope to create a classroom full of students who love to learn and enjoy coming to school every day,” Kiernan said. The school also plans to ramp up its focus on technology with the addition of Regina Cherill who will be working with the fourth grade and above students in areas such as computer programming, website design, hardware repair and computer animation. The foreign language department will also get a boost with the addition of Claudia Ahuatzin. Ahuatzin said she expects to “share my love of the Hispanic culture” and to help all SVA students connect with the Spanish language. Finally, a teaching veteran, Ricardo Perez, is a welcome addition to the middle school faculty. Perez comes to St. Virgil Academy after years of teaching at Morris Catholic High School in Denville to specifically work with the eighth grade honors algebra students. SVA expects to implement a STEM (science, technology, engineering and math) curriculum throughout the school’s Early Childhood Center--which includes Pre-K--will continue this year, as will the award-winning STEM middle school program. Even with the addition of new faculty, students and classes, a focus on individualized learning will remain at the forefront of SVA’s educational approach this school year, said Principal Debbie Duane. With small class sizes, these certified teachers will be able to create an environment that stimulates group sharing and discovery, while still catering to individual needs. The St. Virgil community looks forward to a truly inspiring year, she added. Please be advised that the New Jersey Department of Education has just opened the application process for the 53rd Annual United States Senate Youth Program. Each year, two high school junior and seniors are selected as delegates to represent New Jersey during an intensive week-long educational program (March 7-14, 2015) held in Washington, D.C. and receive a one-time $5,000 undergraduate college scholarship. The Hearst Foundation is the sponsor of this prestigious merit-based program. During Washington Week, delegates will hear major policy addresses by Senators, cabinet members, officials of the Departments of State and Defense and directors of federal agencies, as well as participate in a meeting with a Justice of the U.S. Supreme Court. Each session with elected officials includes an in-depth question and answer period. The military services will provide specially selected men and women officers to serve as mentors for the student delegates while in Washington, D.C. The United States Senate Youth Program is designed for students who have demonstrated outstanding leadership abilities in their school and community and a strong commitment to public service. Every principal of a New Jersey public or non-public high school is invited to nominate one junior or senior to submit an application to this highly competitive program. To be eligible, students must be currently serving in an elected or appointed capacity in an approved student government, civic or educational organization and a New Jersey resident. A Blue Ribbon panel is convened to select two delegates and two alternates. Students who attend this program are encouraged to pursue coursework in history and political science and careers in public service. For more information about the program and the selection criteria, please go to: http://www.state.nj.us/education/aps/cccs/ss/syp/. If you have any questions about the program or application process, please contact Beverly.Plein@doe.state.nj.us. The deadline for students to submit their application is October 10, 2014.